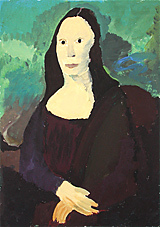 “Rumore di fondo”, 2011 by Donato Piccolo. 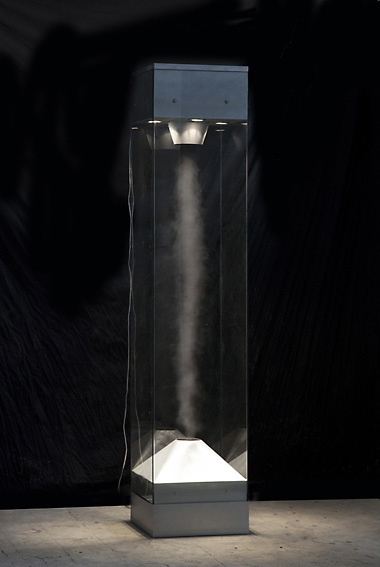 Glass, demineralized water, ultrasonic nebulizer, galvanized iron, fan, halogen lamps, potentiometer, mirror, audio channel. 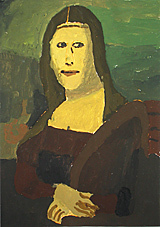 »X2MX«, 2009 by Matteo Giordano. 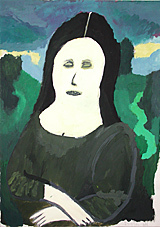 »Part I, Mushrooms, No. 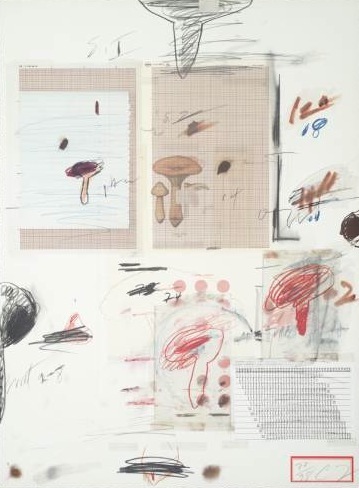 IV«, 1974, from »A large number of mushroom prints in a collection called Natural History« by Cy Twombly. 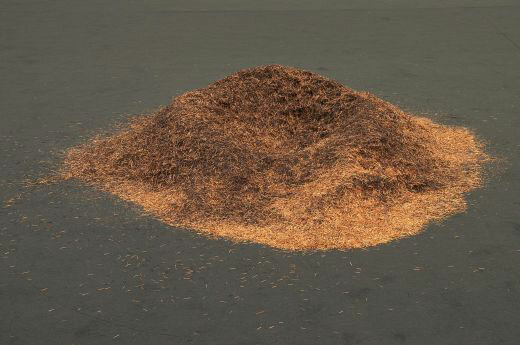 “Eldfeld”, 2006 (copper) by Micol Assaël. 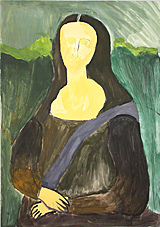 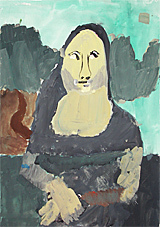 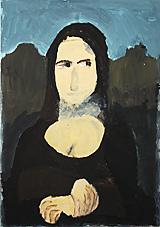 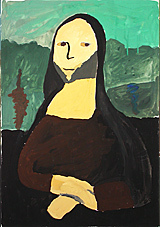 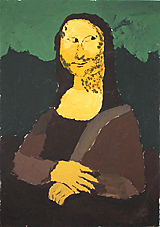 Eberli-Mantel asked their students to paint the Mona Lisa in 2 hours. 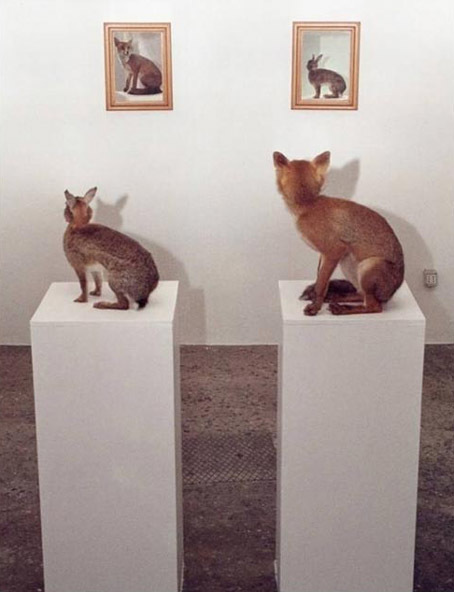 Fox, Hare & 15 degree mirrors by Danile Pario Perra.